Bernie Sanders has changed US politics forever' Owen JonesBernie Sanders stormed to international headlines after running an extraordinary campaign for the Democratic primaries that saw over 13 million people turn out to vote for him, and changed the global discussion surrounding US politics. But how did a complete unknown and a democratic socialist make such waves? 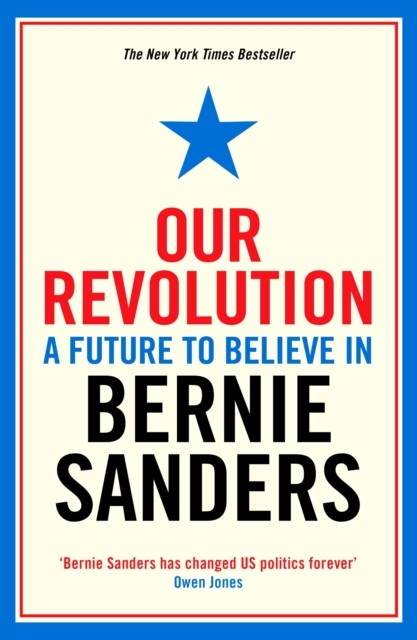 In Our Revolution, Sanders provides a unique insight into the campaign that galvanized a movement, sharing experiences from the campaign trail and the ideas and strategies that shaped it. Sanders' message resonated with millions. His supporters are young and old, dissatisfied with expanding social inequality, struggling with economic instability and fighting against a political elite which has long ignored them. This global phenomenon is driving movements from Syriza in Greece to Podemos in Spain and the support for Jeremy Corbyn in the UK. Drawing on decades of experience as an activist and public servant, Sanders outlines his ideas for continuing this revolution. He shows how we can fight for a progressive economic, environmental, racial and social justice agenda that creates jobs, raises wages and protects the planet. Searing in its assessment of the current political and economic situation, but hopeful and inspiring in its vision of the future, this book is essential for anyone tired of 'same as usual' politics and looking for a way to change the game.